Agricultural Holding with land extending to approx.4.4 acres with planning permission for erection of a general agricultural shed . Can be sold as a whole or in separate lots. Prices from £16,000 Entry by arr. Viewing Mr Strachan 07881 494736. 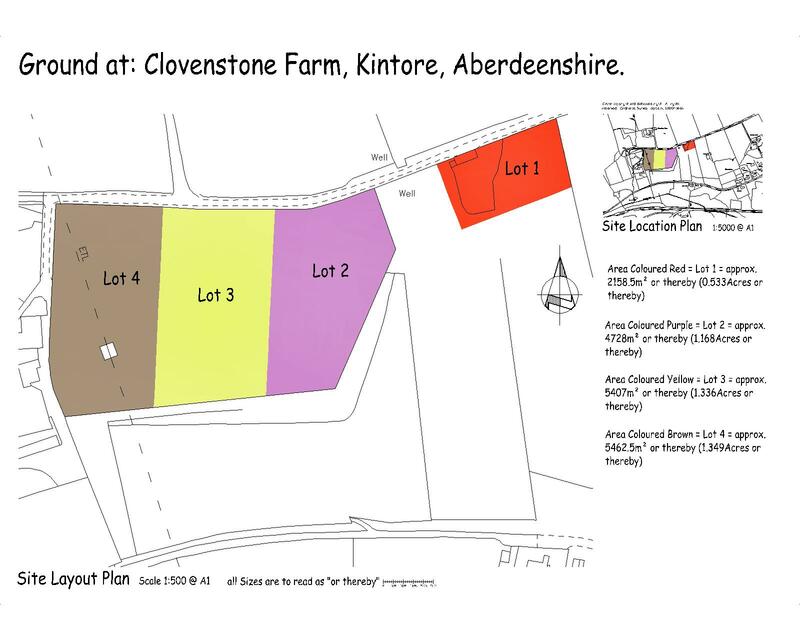 AGRICULTURAL HOLDING WITH DEVELOPMENT OPPORTUNITY – available in whole or in part 4.4 ACRES OF LAND available as a whole or in lot sizes ranging from just over half an acre to around 3 acres. 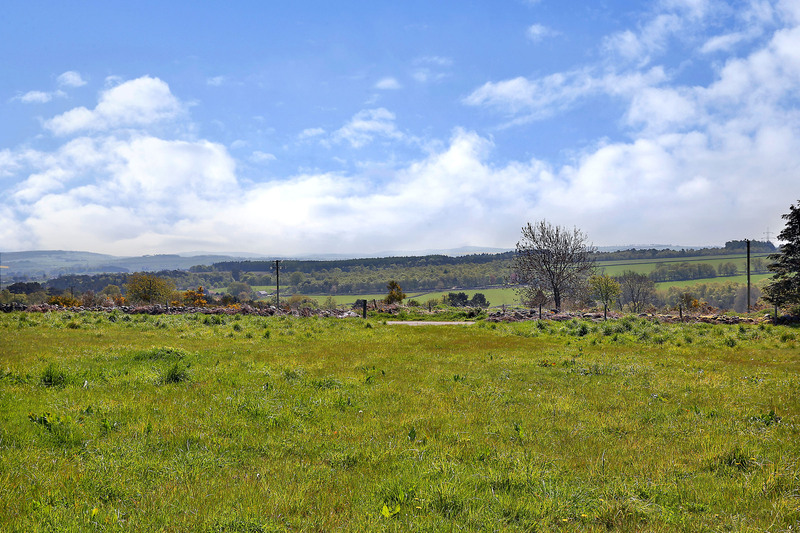 Extending to 4.4 acres approximately in total and on a south facing elevated site this property offers a unique opportunity to acquire extensive land in the heart of Aberdeenshire with some additional development potential. Individual plots offer the potential for a variety of uses including agricultural and equestrian. Purchasers to satisfy themselves on suitability. LOTS 1-4 as a single unit – Price on application. Purchasers will be required to carry out stock proof fencing on boundaries presently undefined. 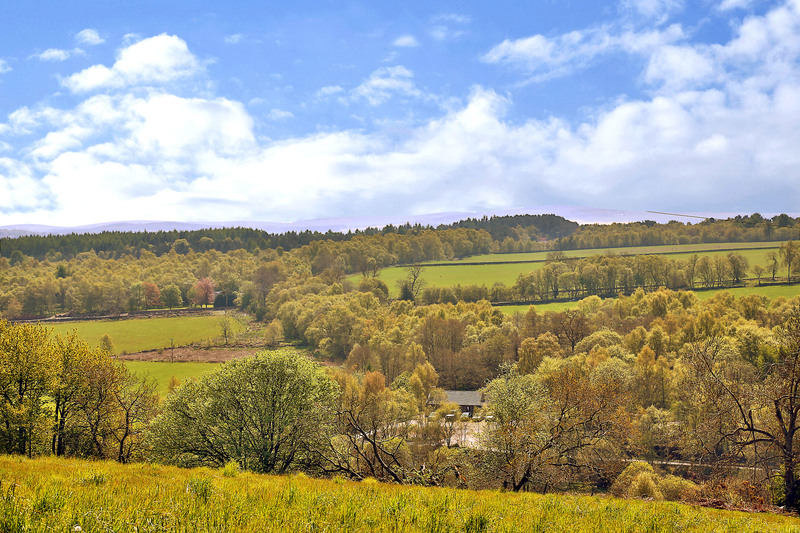 The area is well served by the popular and expanding village of Kintore and the bustling farming town of Inverurie. Thainstone Agricultural Mart and Thainstone House Hotel are less than a mile away as is the A96 dual carriageway to the city of Aberdeen and its airport at Dyce providing excellent transport connections.